1. Log in to facebook and post to their wall. 3. Provide an email address of a friend who may also enjoy the music. 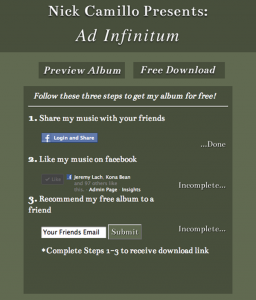 Once all this has been completed, a download button appears and provides the visitor with the music for free. This system uses a database to keep track of which steps have been completed for each visitor and keeps the user on the same page at all times to make this process as quick and easy as possible. 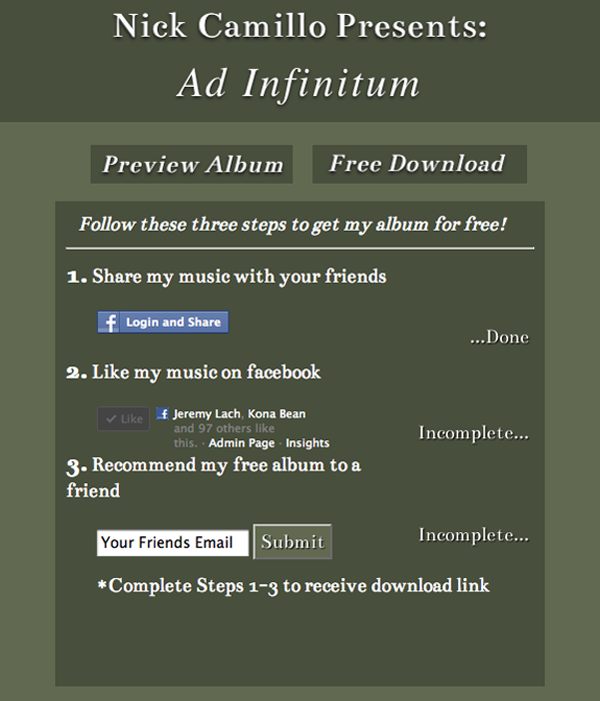 A pre-written email is automatically sent to the visitor once they download the album as well as an email to the person that visitor referred. I also created a simple front end to the database, viewable on a password protected webpage.